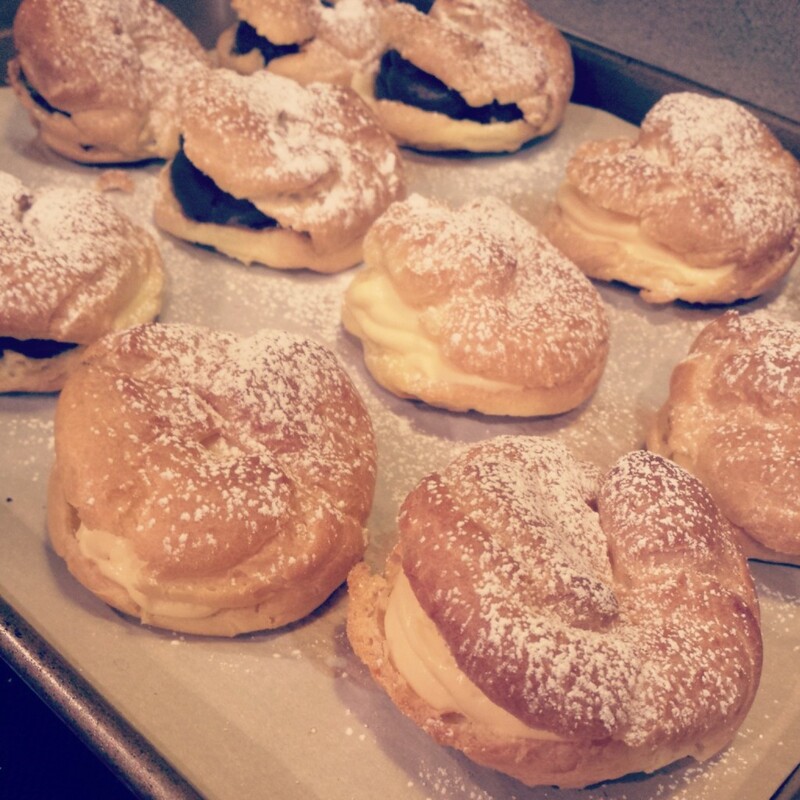 For my family’s get-together, I made this spiced pumpkin cream filling. Super tasty. I decided I’d fill it when we got to my aunt’s house b/c I didn’t want these to get mushy. 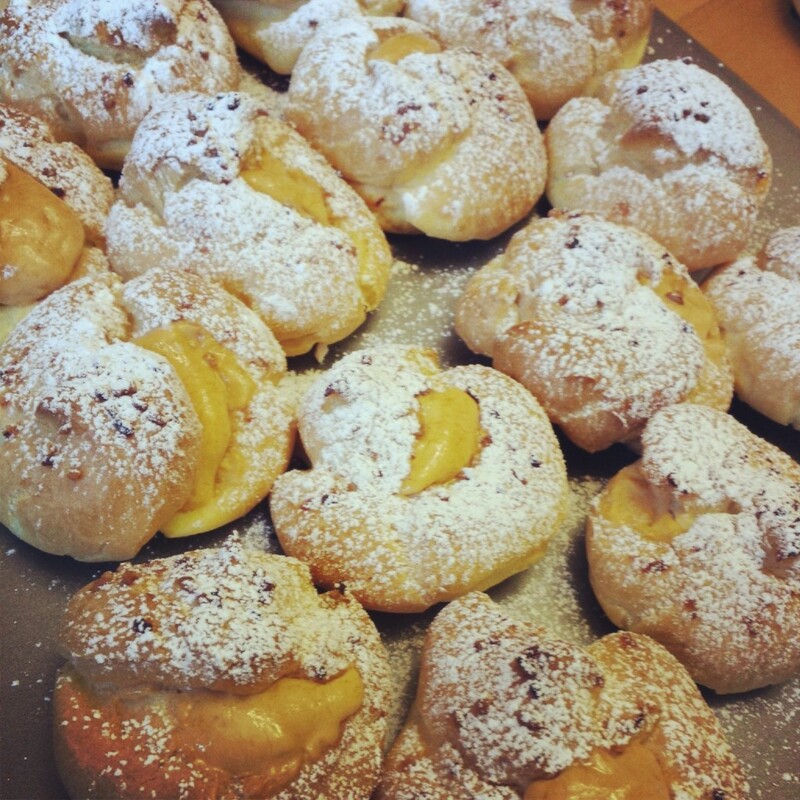 I just brought an extra piping bag, cake tip and a small bag of coke powdered sugar to sprinkle on the puffs for dramatic effect. 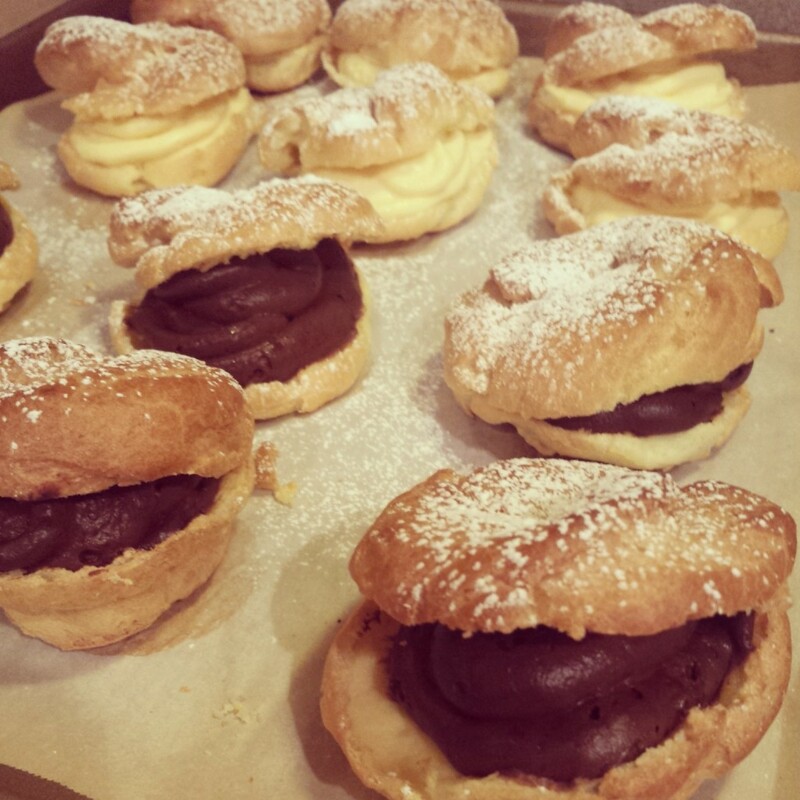 Ta daaaa… delicious giant cream puffs. Then the following week, I just felt like making something for my birthday. I mean, I knew I wasn’t getting a cake, and I wasn’t going to go out and buy one, so… let’s just revert back to grade school when YOU had to bring in sh*t for everyone to eat for YOUR birthday. 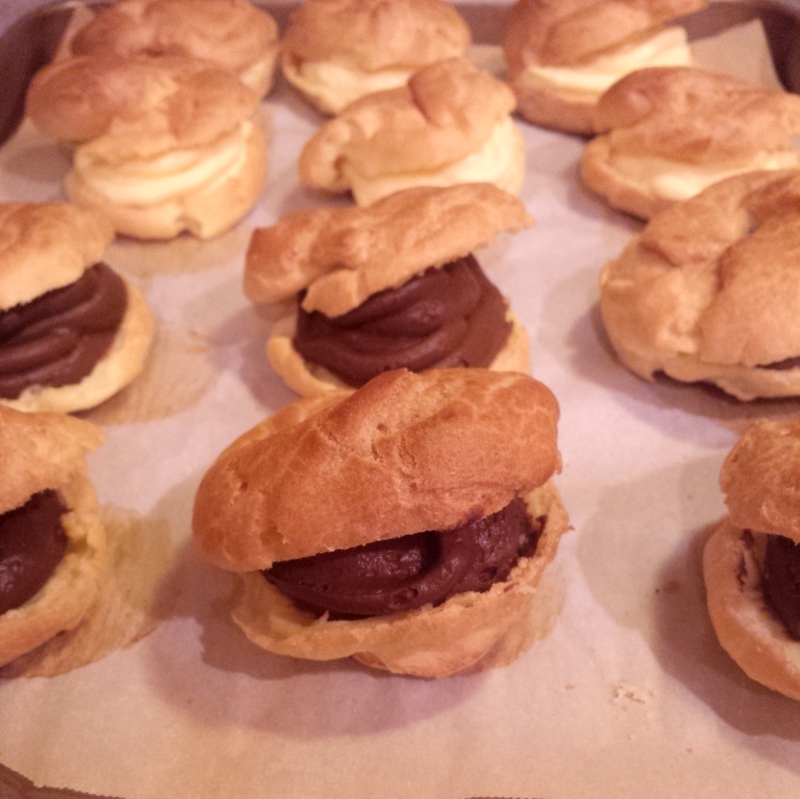 This time, I piped out smaller pate a choux (more like mini slider size and smaller knobby puffs), and I made vanilla and chocolate mousse fillings. 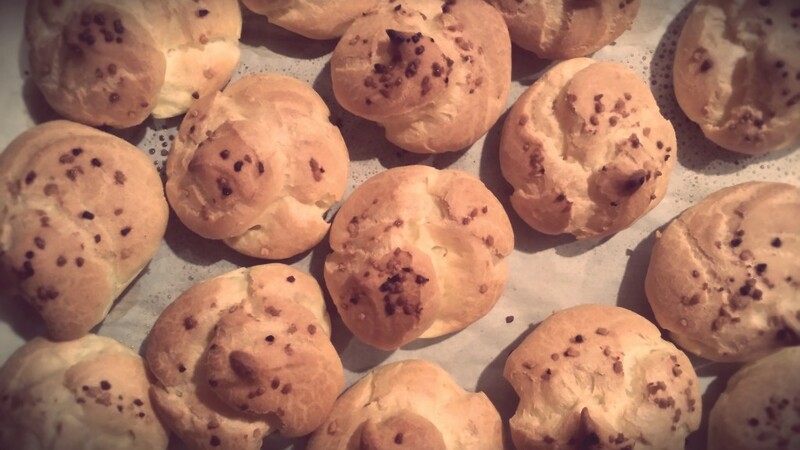 I sliced the “slider” puffs in half and squirted swirls of vanilla and chocolate in them, and just jabbed the piping bag into the oddball-shaped puffs and squeezed till they were overflowing. 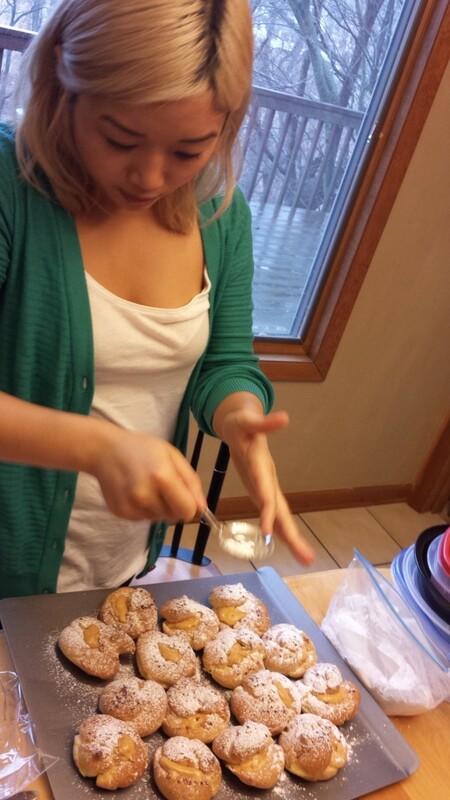 And of course, powdered sugar was sprinkled over everything.